This article was updated Feb 15 2018. I received an email from a client today lamenting the fact her father is a co-signer on her mortgage with TD Bank. Father wants to buy a vacation home, but he cannot qualify for a mortgage as long as he is responsible for his daughter’s mortgage too. Turns out his signature was needed three years ago, when she was not long out of University making $65,000 a year – which wasn’t quite enough to service a mortgage, car loan, and student loan payments. But her fortunes have taken a huge upswing in recent months, and she now commands a salary of $140,000. The cheapest way to do this for you would be if TD allowed you to assume the existing mortgage without having to pay any penalty. You would explain to them you wish to remove your father from title and own the property free and clear. There may be legal fees and title insurance etc. but if your TD mortgage is assumable, it looks to me like your covenant is strong enough that this can be done. And that would avoid a prepayment penalty and discharge fee. If TD says it is not assumable, then the only way to do this is to do a brand new mortgage application, and to break your existing mortgage and pay three months’ interest and a discharge fee. The new mortgage will pay off the existing mortgage and you can take dad off title at that time. 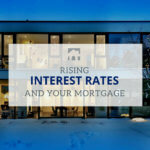 Luckily, you have a variable rate mortgage, so the prepayment penalty should be quite reasonable, and you can always roll that into the new mortgage. Kristen checked with the bank and they confirmed the mortgage is assumable – though they want her to sign up for another five year term. So there will be no prepayment penalty; father can come off title and buy his vacation property. The point is you don’t necessarily have to wait till the renewal date of your mortgage to effect a title change. With real estate prices as high as they are, it’s fairly common these days for parents to help out – whether it’s by contributing to the down payment or by co-signing for the mortgage. I find everyone feels better about things when the co-signer is removed.